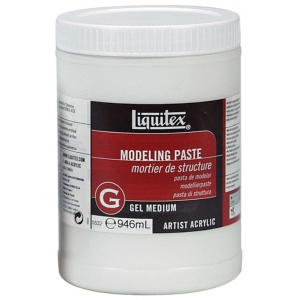 * A marble paste made of marble dust and 100% polymer emulsion. * Used to build heavy textures on rigid supports and create three-dimensional forms. * Dries to the hardness of stone. * It can be sanded or carved when thoroughly dry. * Can be handled like clay if the top of the container is removed and some of the water is allowed to slowly evaporate until it reaches a clay-like consistency. * Adheres to any non-oily absorbent surface. 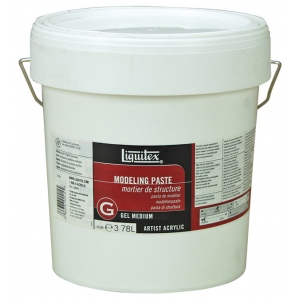 * Drying too quickly causes mud cracking that is usually cosmetic not structural. 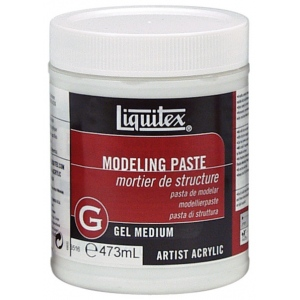 * When mixed with acrylic colors will act as a weak tinting white while increasing thickness and rigidity. 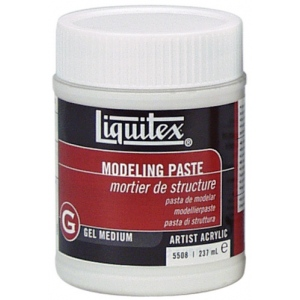 * Excellent substrate for acrylic paint oil paint oil pastel oil bars watercolor graphite or dry pastel.